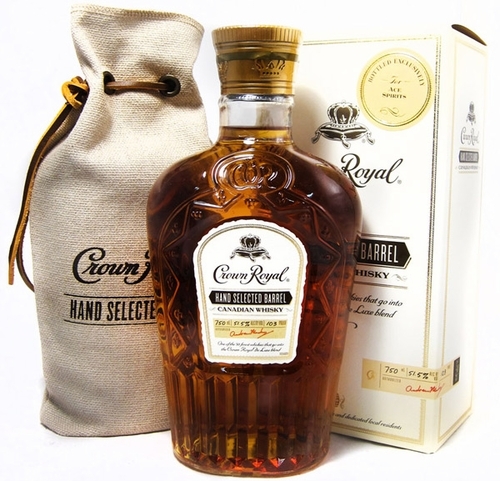 I like Crown Royal, I see very little to complain about regarding the standard and the now infamous Northern Harvest Rye so I was delighted to get my hands on the Hand Selected Single Barrel, I could not wait to get stuck into a Crown Royal bottled at over fifty percent, thanks again to my Canadian whisky spy for getting this to me. Now this isn’t easy to get hold of, It’s not even available right across Canada and is only available to shops, according to what I’ve read anyway, who are willing to buy a barrel, hence the name, it’s also pretty cheap, it’s only around $60 US Dollars which is pretty decent for a plus fifty percent whisky if you ask me. I am tasting using a drop or two of water. Nose. Spearmint leaps out, it’s like a mint julep in bottle form, Icing sugar and Kola Cubes, pineapple juice too, the fizzy stuff. Palate. Banana and chocolate, maple Syrup is all over this, sugary porridge makes a brief appearance, a very nice whisky. Finish. It’s not often I say this but the finish is possibly the best thing about this particular whisky. The sweet fruit punch finish with a touch of heat lasts for absolutely ages and is a joy. This is excellent, it’s by far the best Canadian whisky I’ve ever tried, so far, and is just a joy to drink, another whisky which would be wasted in a cocktail. If you ever see this, pick it up, it’s a treat, if all Crown Royal came in at this sort of strength they’d be world beaters every other year. Next Have we reached peak Whisky madness?